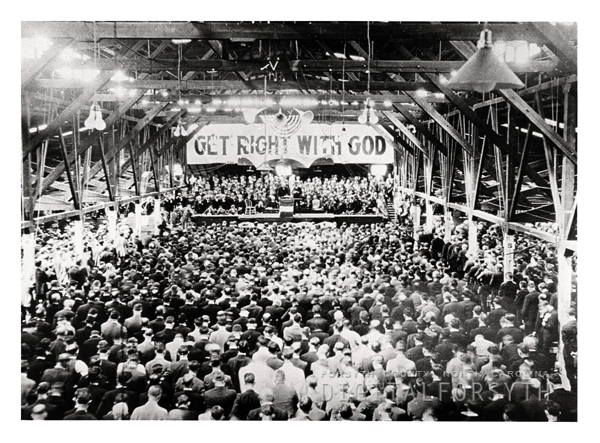 Photograph shows a Billy Sunday meeting that occurred in Winston-Salem. William “Billy” Sunday was an American Evangelist who preached in Winston-Salem for one month beginning in April 1925. Photograph shows a Billy Sunday meeting that occurred in Winston-Salem. William "Billy" Sunday was an American Evangelist who preached in Winston-Salem for one month beginning in April 1925.